Living with blocked drains can be a risky task because blocked drains are the biggest reasons of spreading of bacteria and various kinds of diseases. You will not like to live in a home where you are continuously getting the bad odor so it is recommended to hire a plumber so that he can unclog the blocked drains. You need to understand that when you have a Blocked Drain in your home left unattended for a long time it will have serious side effects. It will affect your health as well as some long-term effects to your home adding on to your woes and unnecessary expenses. 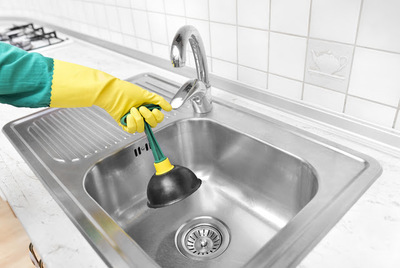 Therefore, keeping your drain and home clean is a lifelong project and a significant aspect of home maintenance. The problem that may be in a drain is deep, both in the literal sense and otherwise. These issues will lie in places that are obviously not visible to your eyes. Therefore, it can cause serious damages from within and you will not be able to know about it until it is too late. Apart from the damage to your property, a Blocked Drain can also cause severe sickness and other health conditions to you and to your family. The flow of water will be insufficient due to the clog and grease and other debris will start to accumulate on the surface. This will not only emit a musty odor and make your home atmosphere unpleasant but will also give rise to germs, insects, molds, mildew and bacteria resulting in unhealthy living conditions. Therefore, do not wait for these things to happen as a wise homeowner. Poor and slower drainage: This is the most obvious effect of a Blocked Drain which may even cause water to flow back up the drain and bubble up if the clog is more severe. Dirty water: If the drainage of your kitchen is blocked then food and waste will get caught in it and will create a bigger clog. Moreover, this will cause the dirty water to flow up or accumulate in the same place making it a perfect breeding ground for the germs and bacteria. The longer it is clogged and left alone, more is the chance that you will consume unhealthy and dirty water. Usually, when clogs are big enough it will prevent water from getting through the pipes and these will eventually dry out. That will cause no moisture to soak up the bad smells caused by food wastes. Leaks: This is the effect of the high pressure created in the pipes due to a Blocked Drain. It can cause cracks in the pipe both internally as well as externally. Older buildings and pipes are more vulnerable to such situations. Structural damage: Leaks caused in your pipes can cause internal damage to the structure of your home causing huge expensive repairs. This will also compromise the safety of occupants and residents if neglected. Therefore, you will need to call specialist drainage experts to carry out a comprehensive range of drain inspection, surveying, unblocking, and services.